Gender – What if George Soros had been a Georgina? Does gender affect investment performance? 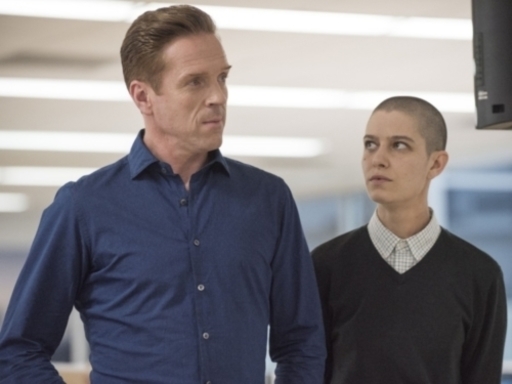 (Billions Series 2): History is made as TV’s first gender non-binary character stars as the talented new intern at ‘Axe Capital’. Gender is a controversial topic in all industries, and in finance probably more so. Within the hedge fund space, less than 1 in 20 firms have a female portfolio manager. What makes this statistic even more poignant is that women managers often outperform their male counterparts: one could make the argument that there should be more female managers than male managers. In our position as a hedge fund seeder, it is important to understand what differences there are in investment styles between the sexes, and why these exist. This helps us during the due diligence process when evaluating all managers, regardless of gender. So what are the differences between men and women as hedge fund managers? Women led strategies (HFRI Women Index) has returned an annualised 4.4% over the last 5 years, compared to a 4.2% return for the HFRI Fund Weighted Composite index which is an aggregate of returns across genders and investment styles. In 2017, women are currently leading the wider universe by over one percent. The conventionally held wisdom and majority of research suggest that on the whole, women are more risk averse than men – although this view has been challenged and findings have been shown to be highly task and environment specific. Specific to investing, the evidence suggests that female managers exhibit less overconfidence and don’t over trade: Barber and Odean, two economists at the University of California, analysed the brokerage record of 35,000 personal accounts over a 7 year period and found that women outperformed men by a statistically significant 1.4%; primarily due to reduced trading volumes stemming from less (over) confidence in their own abilities. Females are also thought to exhibit better protection on the downside: Kyria Capital’s white paper found that the maximum drawdown of female run hedge funds was on average significantly shallower and shorter duration than the wider hedge fund index. The evidence is not all in favour of females: data from 1994-2013 showed that there was no inherent differences in skill between male and female managers – with all male investment teams even outperforming mixed funds in some segments. The simplest explanation for any female outperformance is that there are more powerful Darwinian forces at work for females in the finance and asset management industries: only the very best are able to rise to the top, given the numerous structural and social hurdles they face compared to their male counterparts. At an individual level, research suggests that females are not encouraged to pursue more quantitative roles at junior levels – for instance, roughly 50% of bank sales forces are female, and yet fewer than 5% of traders are female. This would suggest that those females who do pursue these risk taking roles are more likely to be in the top quartile, whereas the greater number of male risk takers means they are likely to be more spread across a normal distribution. Therefore, comparing female managers to male managers is subject to a ‘quality’ bias which explains the female outperformance. At manager level, only the very best female managers survive due to greater difficulties in maintaining and raising capital, leading to survivorship bias when comparing database performance. However, whilst these biases no doubt play a part, women have been shown to outperform men in the non-professional environment of personal account trading, where no such quality or survivorship biases exist. This suggests that investment differences are not solely caused by greater Darwinian pressures upon women or women run managers, and that other factors are at work. From a physiological perspective, testosterone levels have been shown to effect trading behaviour: an experiment using simulated trading tasks showed the clear link between hormones and trading behaviour: higher testosterone levels caused increased optimism about future price changes – which can help explain overconfidence, trading hygiene and risk management differences between the sexes. Societal and environmental forces are no doubt at work as well, with male traders more likely to succumb to trading floor stereotypes propagating the ‘macho’ trader who takes big risks, doubles down on losers and is optimistic to a fault. The culture of a hedge fund must be assessed in terms of risk taking behaviour, and with such Due Diligence questions as “if a risk taker makes a mistake, is there a culture of putting your hand up or of sweeping it under the carpet?”, “is this more of a stick or a carrot kind of firm?” etc. It is also worth acknowledging that the above mentioned gender differences are of course not universal. Testosterone levels vary significantly amongst males. There are female investment managers who suffer from overconfidence, and male investment managers who are far too risk averse. It is also worth acknowledging that gender is obviously not as binary as our language suggests – at time of writing we have not yet come across our first gender neutral or transsexual hedge fund manager, though if the recent series of ‘Billions’ is anything to go by, then we may well see this in the near future. Some research seems to suggest that it is not gender differences that explain performance differences, but diversity of backgrounds. A review of risk appetite at banks prior to the 2007-2008 crisis showed that a greater number of female directors and board members had no influence on risk taking or subsequent performance, but that more diverse boards had a significantly beneficial effect on performance. This supports various studies on the positive effects of diversity towards hedge fund performance, as evidenced behind the growing popularity of diversity and minority investment programs at large institutional allocators. Given all of the evidence, we are obviously keen to invest with female managers. Do we only look to invest with female managers? No. As a seeder, we are opportunistic and our job is to pick the best talent. Any sort of top down bias (or stereotype) can interfere with selecting the best talent. Awareness of gender as a variable, and the differences it may drive, is a part of our due diligence process. Stable are always open to meeting with top investment talent, regardless of their gender. 3 Nelson, J. A., 2015, Are women really more risk averse than men? A re-analysis of the literature using expanded methods. Journal of Economic Surveys, 29: 566–585. 4 Barber, Brad M. and Odean, 1998, Terrance, Boys will be Boys: Gender, Overconfidence, and Common Stock Investment. 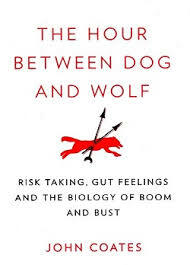 A successful Wall Street trader turned Cambridge neuroscientist reveals the biology of financial boom and bust, showing how risk-taking transforms our body chemistry, driving us to extremes of euphoria or stressed-out depression.